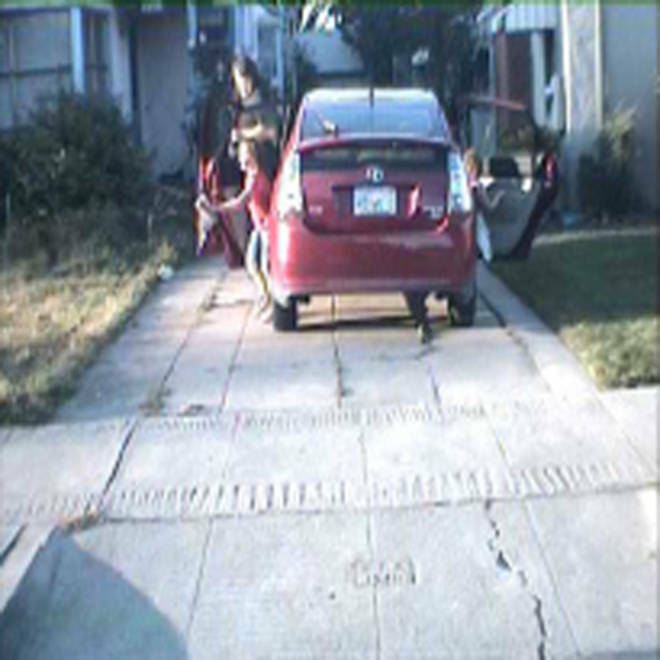 An image taken by a license plate reader on a San Leandro, Calif., police car shows Mike Katz-Lacabe and his daughters getting out of their Toyota Prius in their driveway. The image is one of 112 that Katz-Lacabe received in a 2010 public records request for license plate data on his vehicles collected by police. A license plate reader sits on the trunk of a Metropolitan Police Department car in Washington, D.C, in 2011. The device records automobile license plates that drive by and then rapidly checks a computer database of stolen or wanted cars. 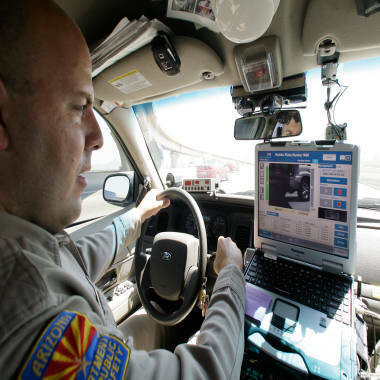 Arizona Department of Public Safety Officer David Callister watches his dashboard computer as it reads passing car license plates from an infrared camera mounted on the front bumper of his police cruiser in 2007 in Phoenix. 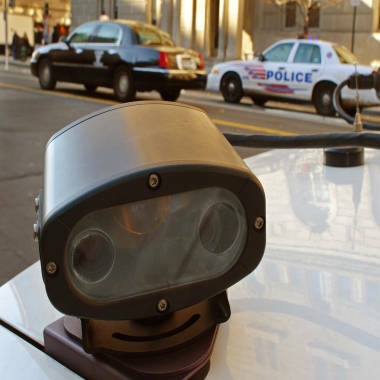 The cameras can read thousands of license plates during a routine shift, far more than an officer could do by hand.